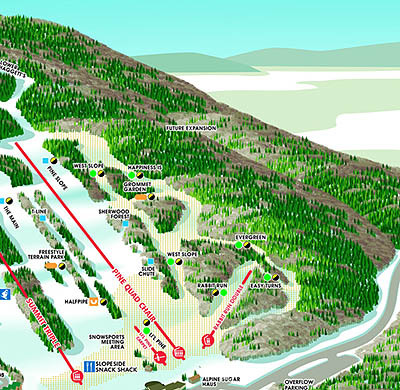 For about a decade, the area to the west of the current Shawnee Peak ski area has been labelled as future expansion. While minimal details have been released, it is thought that the expansion would provide additional real estate opportunities. In 2006, two years after Loon Mountain in New Hampshire installed a new high speed quad on its North Peak, Shawnee Peak purchased the removed 1984 CTEC triple chairlift and placed it in storage. 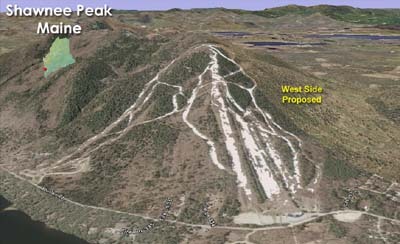 While it was thought the chairlift would be used for the West Area expansion, it instead was used to replace the 1984 Riblet summit triple chairlift in the summer of 2010.